In the annals of great talks, we tend to think of Patrick Henryâ€™s â€œGive Me Liberty or Give Me Deathâ€� speech of 1775, Winston Churchillâ€™s â€œNever Give Inâ€� radio dispatch, and Martin Luther Kingâ€™s passionate exhortation â€œI Have a Dreamâ€� given outdoors at the Lincoln memorial in 1963. Judge Noah Sweat, a young but well-known raconteur and political figure in Mississippi, should also be remembered for a brilliant and clever talk to the Mississippi House of Representatives in 1952 when he was summoned to give his opinion on the legalization of liquor sales. Here is what he said. â€œMy friends, I had not intended to discuss this controversial subject at this particular time. However, I want you to know that I do not shun controversy. On the contrary, I will take a stand on any issue at any time, regardless of how fraught with controversy it might be. You have asked me how I feel about whiskey. All right, here is how I feel about whiskey. 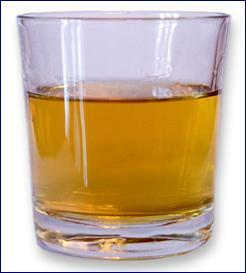 â€œThe Oil of Conversation.â€� Credit: Wikimedia Commons. 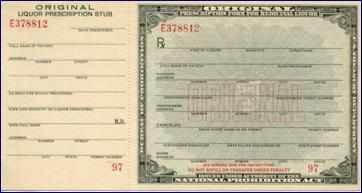 Prescription Form for Medicinal Liquor. Credit: Wikimedia Commons. Some view Judge Sweatâ€™s speech to the Mississippi legislature as masterful doubletalk. In context, it was much more. He worked on his speech for two months and delivered it with great intent. Remember that in 1933 prohibition had been repealed by the twenty-first amendment to the Constitution but each state could still enact its own laws allowing, regulating, or limiting the sale of alcohol. The result was a patchwork of laws and regulations in which one state might ban all sales, another next door allow them altogether, and a third limit sales on Sundays and holidays. Prohibition was a heated issue in Mississippi for thirty years and debated annually when the state legislature convened. As it turned out, Mississippi was the last state in the union to repeal prohibition. The repeal took place in 1966. 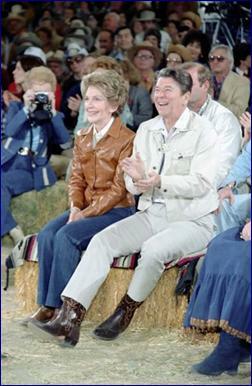 Ronald and Nancy Reagan. Credit: Wikimedia Commons. As presidents, they couldnâ€™t have been more different in their political philosophies, but they each had a gift, no matter what you thought of their administrations. Ronald Reaganâ€™s heartfelt style and simple aphorisms touched peopleâ€™s hearts when he spoke. Bill Clinton, a man who loved nuance and complexity, made whoever he was speaking to feel like they were the center of attention. Many good leaders have a knack for courtesy, even when dealing with fawning supplicants, lifelong political enemies, and blatant nincompoops. There are exceptions, of course. Churchill called Clement Attlee â€œa modest little man, with much to be modest about.â€� Gore Vidal described Ronald Reagan as â€œa triumph of the embalmers art.â€� And Clement Freud referred to Margaret Thatcher as â€œAttila the Hen.â€� All of this makes for moments of fun and good news copy, but it is unhelpful in sorting out the larger and smaller scuffles that seem to prevent getting things done. Stifle the urge to dig at people who are already hyper-sensitive and thin-skinned from emotions that are far too close to the surface. Embarrass no one. Ever.